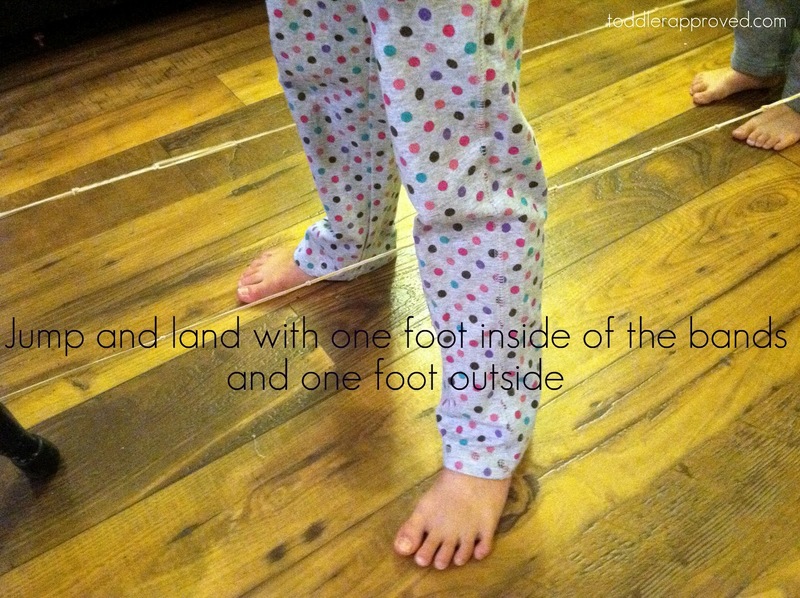 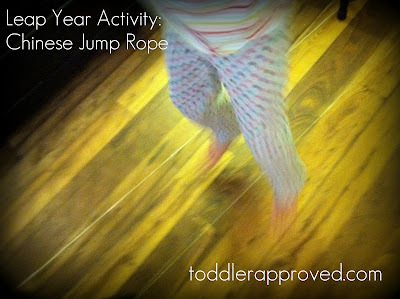 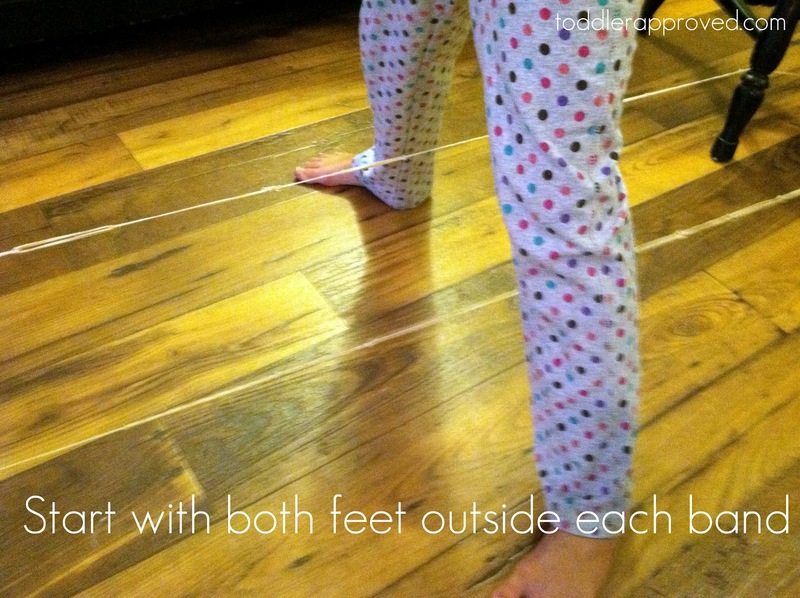 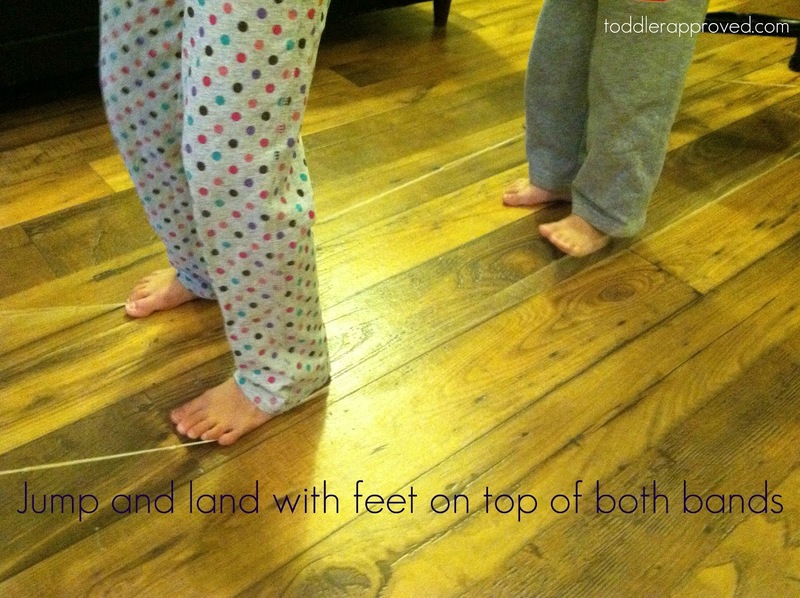 I wasn't sure how much my children would understand Leap Year, but know that they certainly understand the word "leap", so thought I'd teach them one of my favorite bus stop/playground games: Chinese Jump Rope. 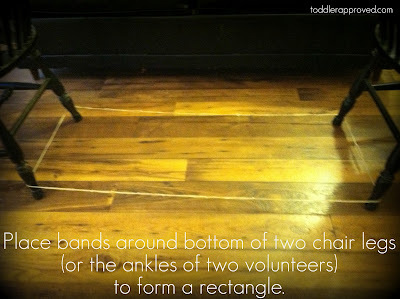 You can buy one or you can simply make one by attaching several rubber bands together to form a large chain (about 5 feet long). 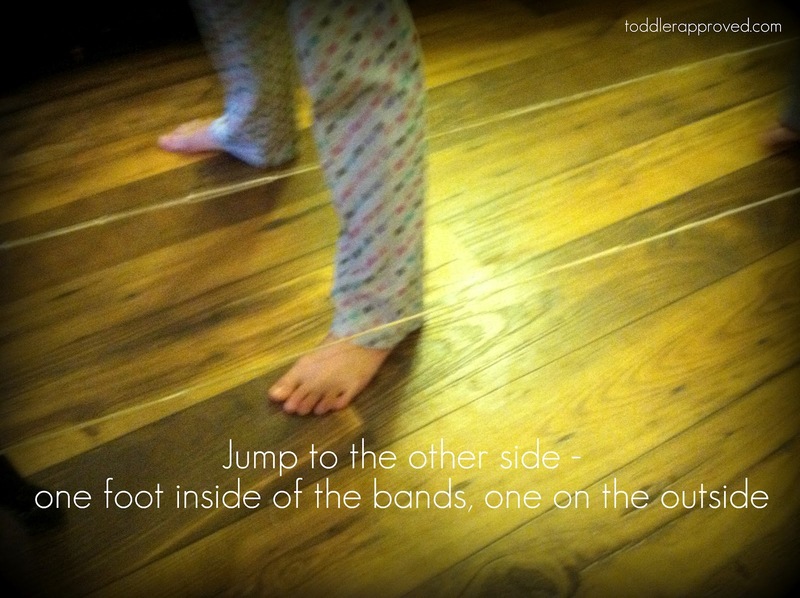 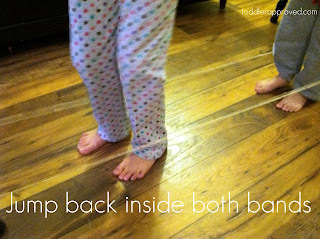 Each person takes a turn trying to do a series of jumps without "messing up" (either by touching the bands when they are not supposed to, or not touching them when they are supposed to). Once they complete the series, you make it more challenging by adjusting the height of the bands. 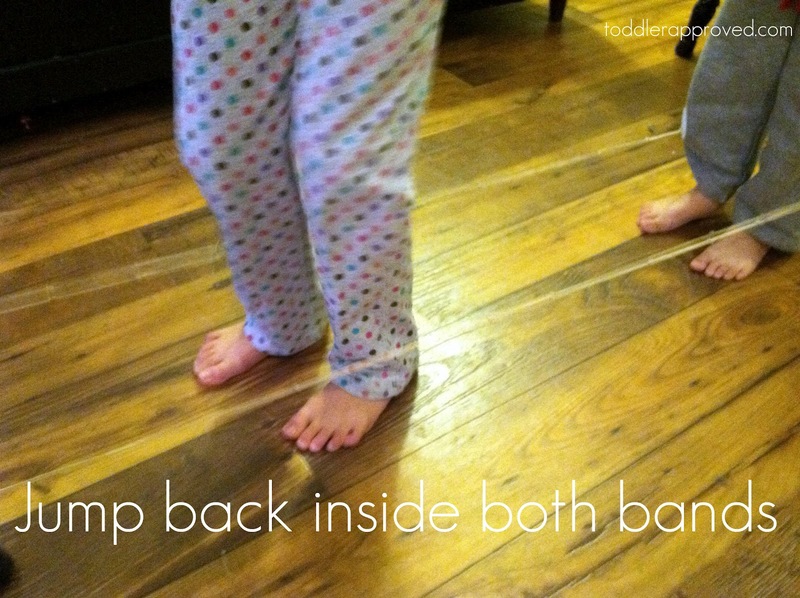 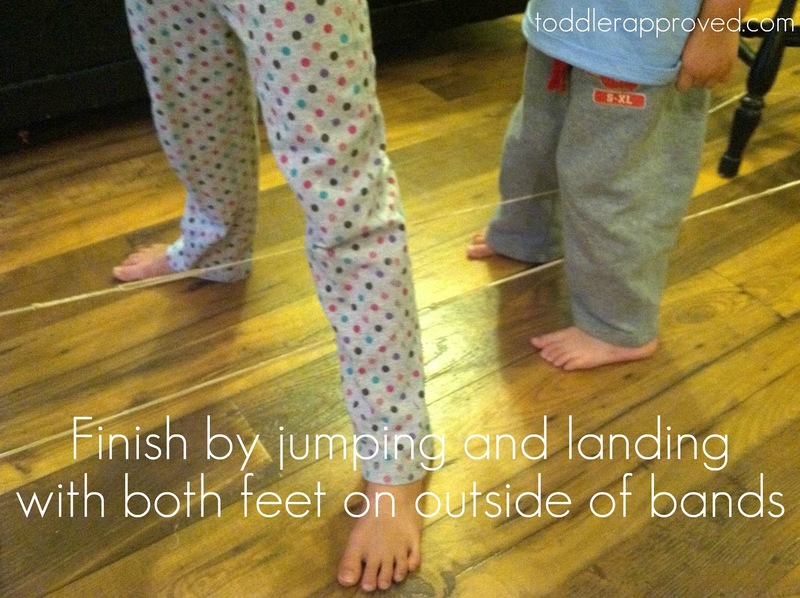 Of course, the kids had just as much fun jumping and creating their own patterns. It's also an excellent work out - I was getting pretty sweaty by the end of our play (especially as we raised the height). 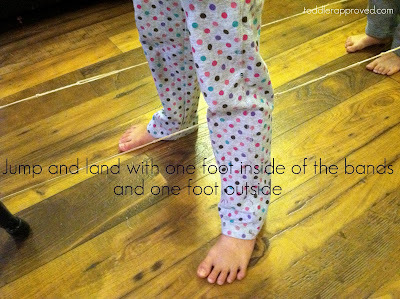 Did you ever play this when you were growing up? How did you play/what patterns did you use? 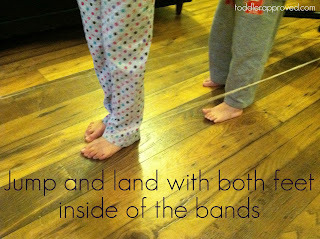 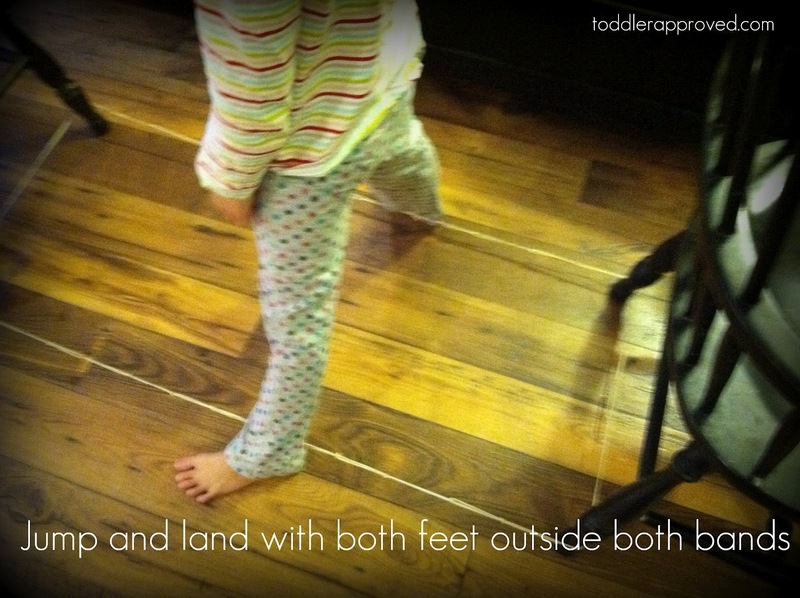 Have you already checked out this list of "jumping games" for Leap Year at NurtureStore? I'm glad to know I"m not the only one who knows about this. 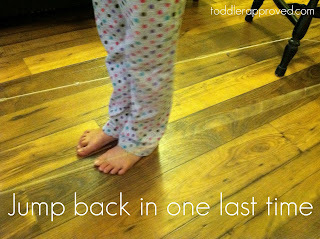 I was wondering if I'd made it up.